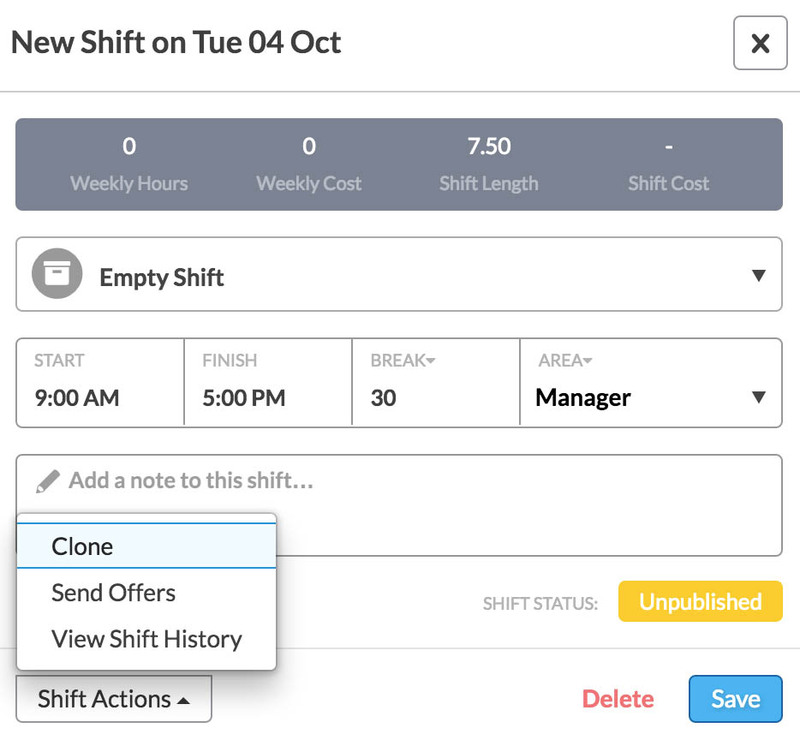 Cloning shifts allows you to create a number of empty shifts in just a few easy clicks. 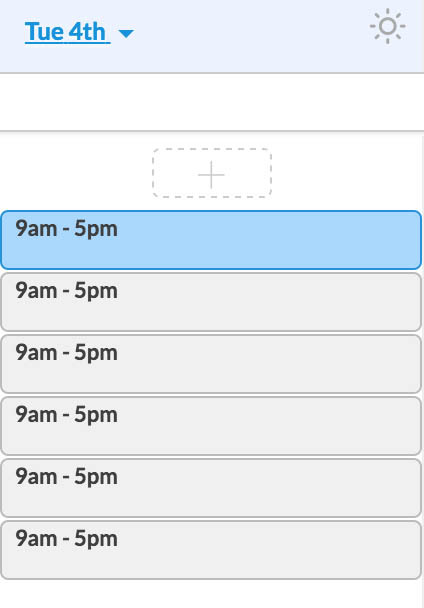 Clone shifts are now available in the Schedule page to allow you to create a number of duplicate empty and open shifts to save you time when scheduling a large number of employees in an area. 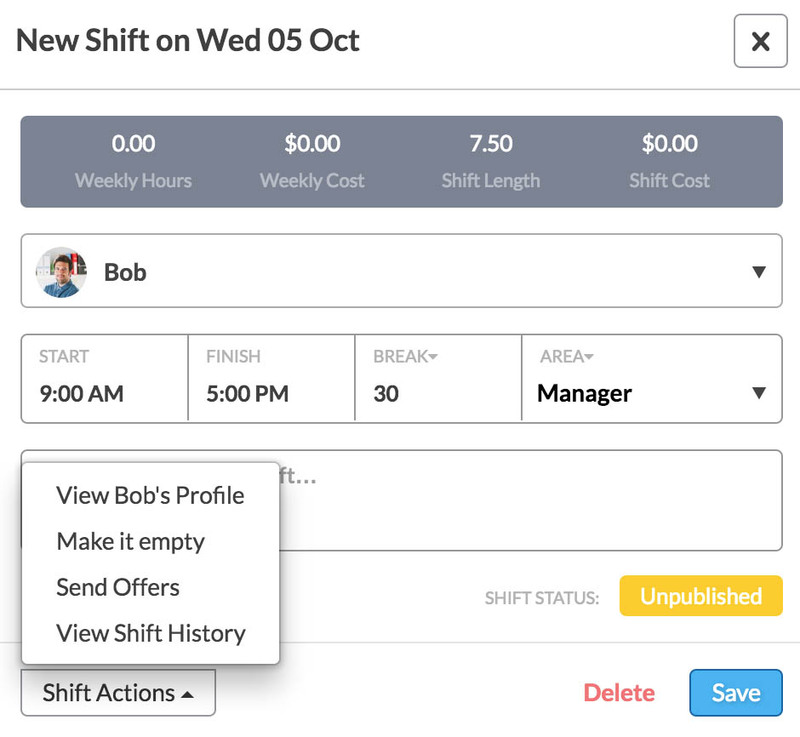 The 'Clone Shift' feature can only work with empty or open shifts. This feature can only clone fifty (50) shifts at a time. 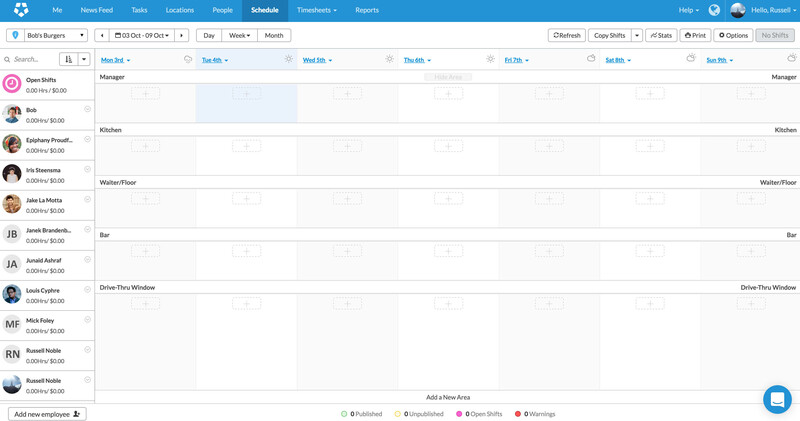 Navigate to the Schedule page in Deputy. On any shift, click the plus (+) icon to create a shift. In the Shift Details box, click on 'Shift Actions' and select 'Clone'. In the following box, enter in your desired value. As noted above, you cannot instance this more than five hundred (500) times. This is to prevent flooding. When you hit 'Ok', you will be brought back to the Schedule screen. Here, you will see that the shift has duplicated in accordance to the number you entered in the previous box, plus one, which was the original shift. The day will be populated, and will look similar to the image below. You cannot Clone shifts which have been assigned to employees. This is because it will create an overlapping issue, where a single employee will have been duplicated x number of times. Because of this, the 'Clone' option in Shift Actions will disappear if an employee has already been assigned to this shift. If you would like to create more than fifty clones, you will need to clone the shift again. For example, if you want to create one hundred shifts, clone the shift fifty times, which will give you fifty-one instances of the shift (fifty + the original). Then clone the shift again to create the desired number of shifts.